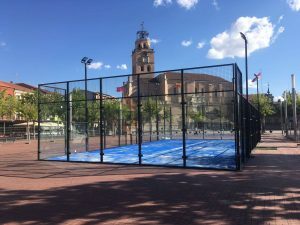 If you want to introduce this sport in your city,if you want to make an awesome tournament or even make an exhibition game of paddle tennis… you will probably need to rent a portable paddle court for a certain period of time, it might be days, weeks or even a month. 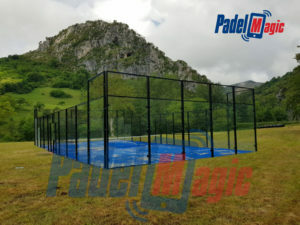 That´s why PadelMagic offers you the chance to rent our portable paddle court for a period of time. Our team will install it and prepare it, making sure that everything is ready for your event. Once the event is finished, we will also make sure that nobody will notice happened there, putting away all the elements and uninstalling the court. This is because the structure of the court is totally portable and does not damage the ground where it was set. 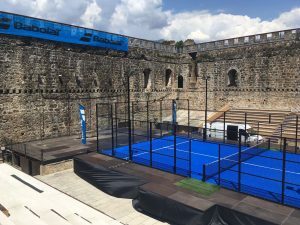 Do you need to rent our portable court? Fill in the following form and get the best price to rent it!